The part of the project which will provide a state of the art two bay net facility is progressing according to plan and timescale. 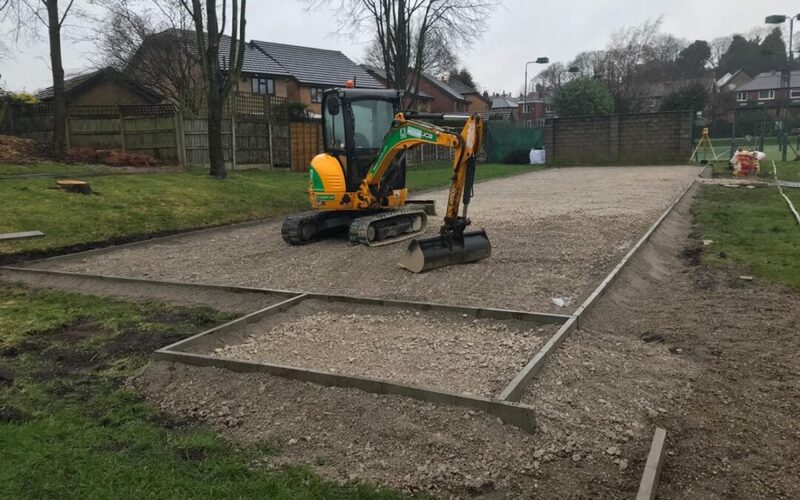 As you can see from the image, the old net facility has been fully removed, and the new base has been laid and is currently being levelled using a laser. The next stage includes fitting of the steel rods to hold the net poles. The entire project is currently running on time and scheduled to be completed in Mid March. Once more – thanks to Viridor Credits for the grant which has enabled us to move the project forward.